Iron Man 3 is about to come out in theaters, and I can’t wait! There’s something so awesome about Tony Stark, and the actor who plays him. Of all the super hero movies made in my lifetime, the Iron Man franchise is my favorite. I love to laugh, and Robert Downey Jr.’s dry and sarcastic sense of humor is just what I need when I sit down for a movie. 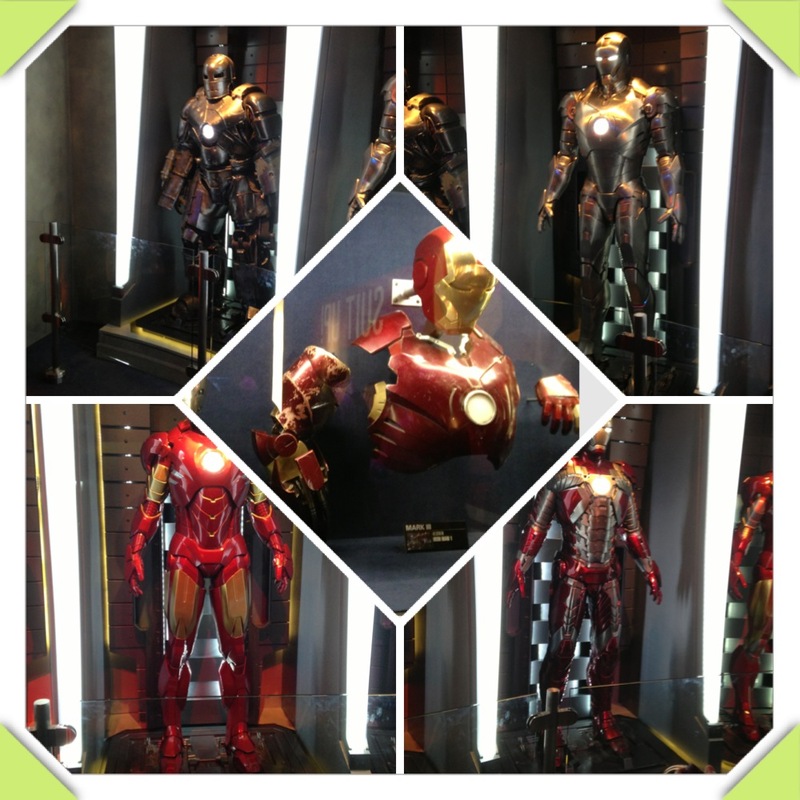 This past weekend I visited the Iron Man exhibit at Disneyland. The exhibit is located within the innovations building in Tomorrowland. The Innovations building is the location of the “House of the Future” where each room is designed with state of the art technology, created in an attempt to show visitor’s a glimpse into what our future homes will look like. In addition to this exhibit, for a limited time you can visit a little piece of Stark Industries. In the Stark Industries exhibit you can view the evolution of the Iron Man suite. See the first model all the way through the newest version the Mark 42 used in Iron Man 3. You can also “suit up” as Iron Man with the new game featured at the exhibit. You can virtually put on the suit and fly like Iron Man. The technology works much like the Kinnect. The only downside to this exhibit is it will cost you around $125 to see, since it is located inside of the theme park. If you are planning on visiting Disneyland this year regardless, then you definitely have to check out this fun exhibit.